If you’re looking for leads on for sale by owner (FSBO) homes in virtual markets, it can be a little harder to make potential sales, so you need a wide net of contact information if you want to get anything out of it. But it’s actually pretty easy to build a list of potential leads for these homes, and believe it or not, you don’t have to pay a service or hire help to do it for you. Using some easily available services, you can quickly and easily compile a list of leads, reach out to them, and add sellers to your client list by prequalifying them for offers. Today, we’re going to focus on the ways you can find FSBO home sellers in Virtual Markets and make a list of targeted potential leads to contact. The most important part of this process is to actually find the sellers and create a spreadsheet with their names and contact information. From there, you can start making your calls. 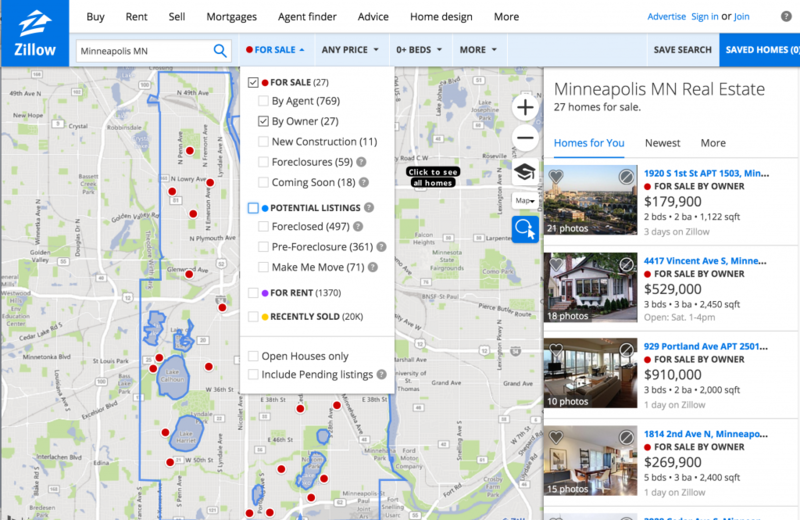 Love it or hate it, Zillow is beloved by many homebuyers and sellers these days, and luckily for us, it’s possible to filter by type of home sale when you’re searching in a particular area. 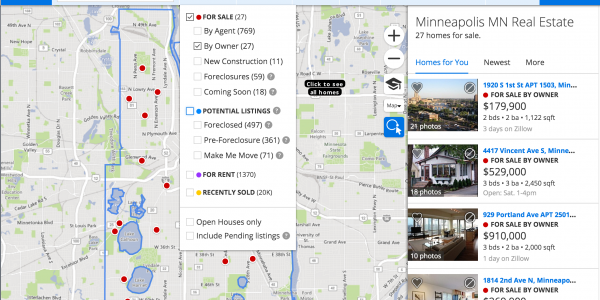 To do this, go to Zillow’s home page and enter the name of the area that you’re looking for. To get the most options, be sure to click outside of the red box and to include areas that might be slightly outside city limits. 3. 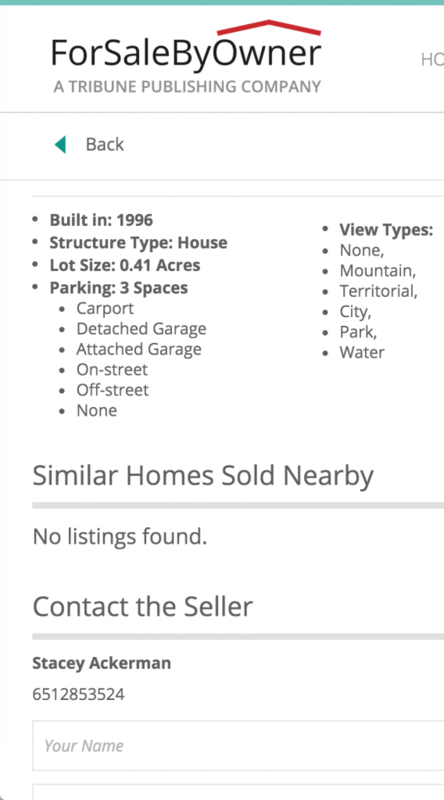 Click on any and all results that seem interesting to you, and on the info pages, take a look at the contact section for the seller’s name and number. Then, enter these into the spreadsheet along with the address and asking price. 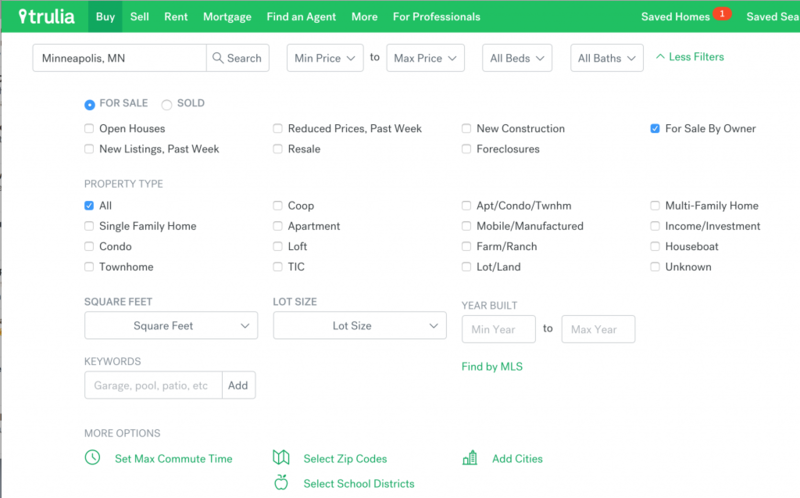 This one is exactly the same process as Zillow, but the layout looks a little different. 3. The contact information will be right there on the page. This one is really similar to Zillow and Trulia, but you generally get more information about the seller, which is great. Enter your search parameters and select a home that seems promising. Scroll to the bottom. There’s a contact form and just above that is a phone number and (sometimes) a name. That’s what you want. Pretty much the same principles as before. Go to the homepage and enter your search parameters in the search bar. Select a home that you like and scroll down to just under the home’s price. 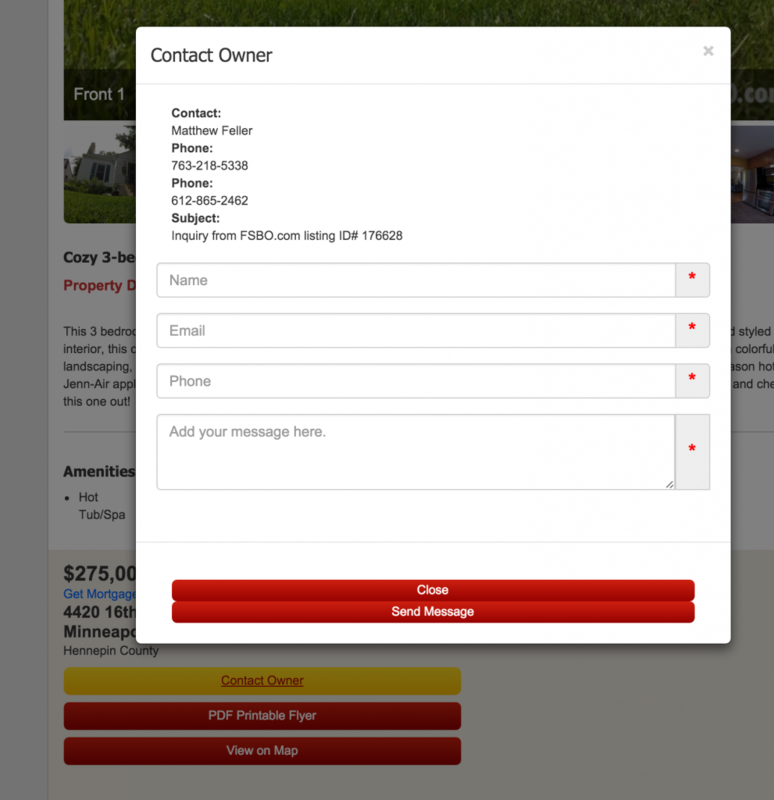 Select “Contact Owner” and you should get a nice contact sheet with all the information you could want. Because Craigslist postsaren’t confined to a specific format, you’re going to get a lot of variety in what the posts look like. Information and photos will vary from seller to seller, so be prepared to do a little more digging to get your info. There isn’t a step by step for this one except to go to the homes for sale section of your local craigslist and enter “for sale by owner” as a search keyword. What do you do with the phone numbers once you have them? Once you have the numbers, you get to do the real work: making connections with these home sellers and reaching out to connect with them. They may be interested in working with you or they may not be, and the only way to find out is to give them a call! With your list of leads in hand, go through each number and do some prequalifying calls. What you’ve collected up until now is some raw data, but you generally know very little about their actual situation. A good prequalifying call and script can turn a potential lead into a meeting with a possible motivated seller. Read also – How to Get Started in Real Estate Investing Flipping Houses ? When you call these numbers, try following a script to keep the process as pain free as possible. If you’re not used to cold calling, a script makes things much easier and ensures that you have a consistent brand across all the people you call. Asking a few prequalifying questions will prevent you from investing a ton of time into a seller who may not be ready to work with you, but more importantly, it starts a conversation with the seller and opens the door for a relationship. It’s really a win/win. Your end goal should be to assess whether or not this candidate is likely to accept an offer from you, and, if you think there’s a chance, to get them to meet with you and talk about it! If they don’t respond well or aren’t interested? Don’t worry about it! You have a whole list of other leads to try it on. Don’t give up. I suggest setting an initial goal to call 100 FSBO leads as a test in your market, and to get familiar with talking to sellers on the phone. You’ll quickly see how to tell who’s motivated and quickly get off the phone when they are. You’ll also find that a percentage of them are willing to sell for less. Those are your prospects! Make them an offer, and eventually one of them will say Yes. It’s truly a numbers, so don’t get discouraged in the meantime. Keep at it till you’ve spoken with 100, and you’ll see results!